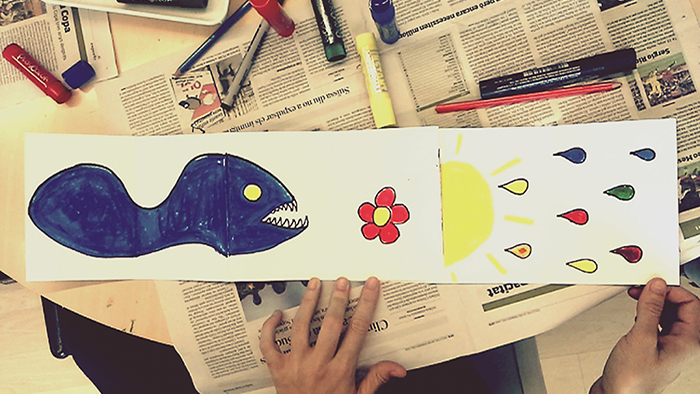 Around 22,000 people participated in the Big Draw. 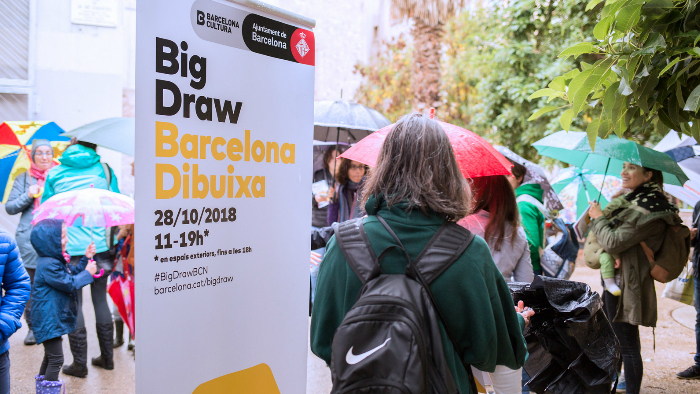 Barcelona Draws 2018, the biggest ever drawing festivity held in the city, and the response of the public was very positive despite the fact that the rain and cold were protagonists throughout the Sunday and very especially during the morning. 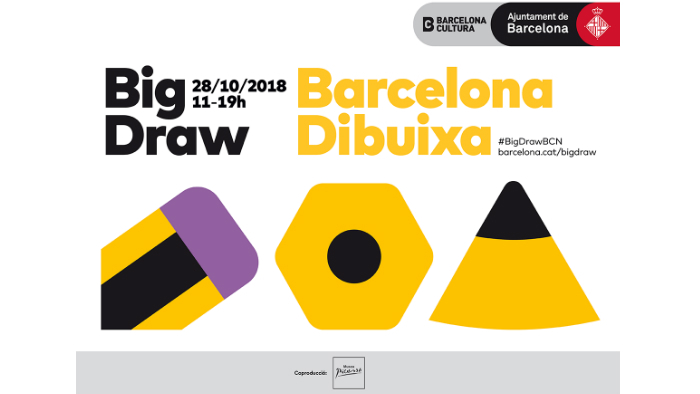 On Sunday 28th October the ninth edition of Big Draw BCN arrives and does so with important novelties. 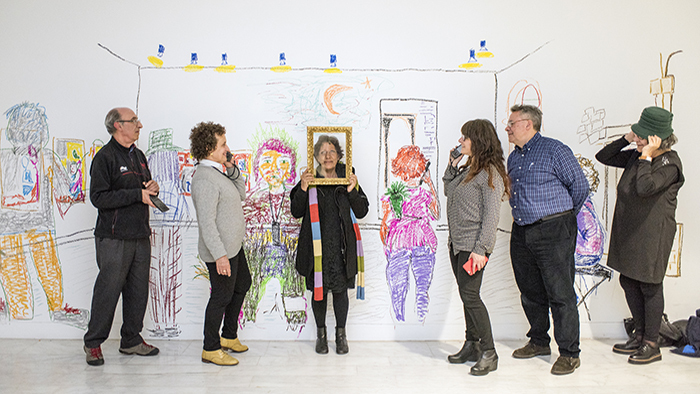 This year, the major festivity of drawing is bigger with more collaborators, spaces and workshops so that everyone can express their creativity. 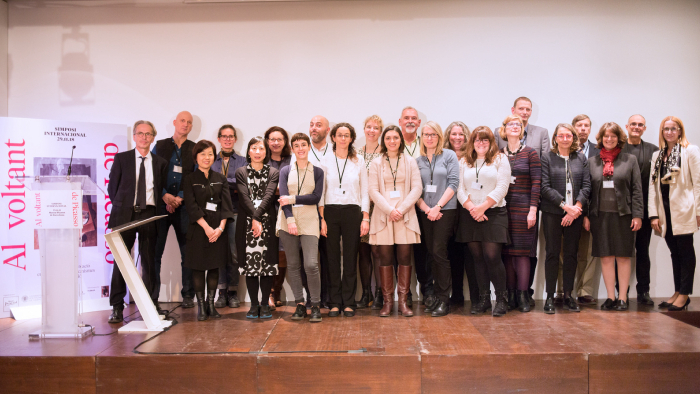 Together we will bring true the festival’s slogan: Barcelona draws!